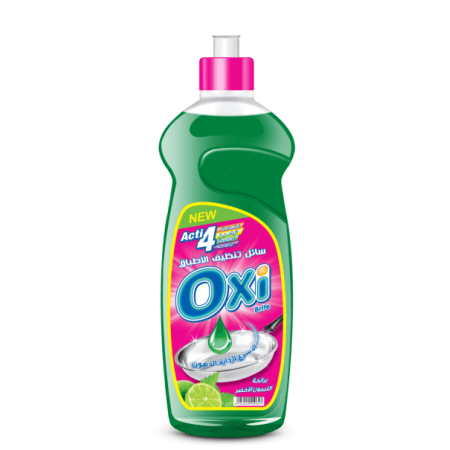 Reduce on your dishwashing routine with just one drop of Oxi’s dishwashing soap added to your dish washing sponge. You can enjoy a relaxed stay at the dinner table knowing that a drop of Oxi’s dishwashing soap will give your dishes the power of an overnight soak. With its active oxides and ingredients it penetrates food messes for a complete clean but at the same time being gentle on your skin. The experience will be simply delightful with the variety of fragrances; green lemon, yellow lemon, green apple and cocktail scents all giving the same sparkle clean effect. The packages come in different sizes to suit your dishwashing frequency and to fit with all budgets.